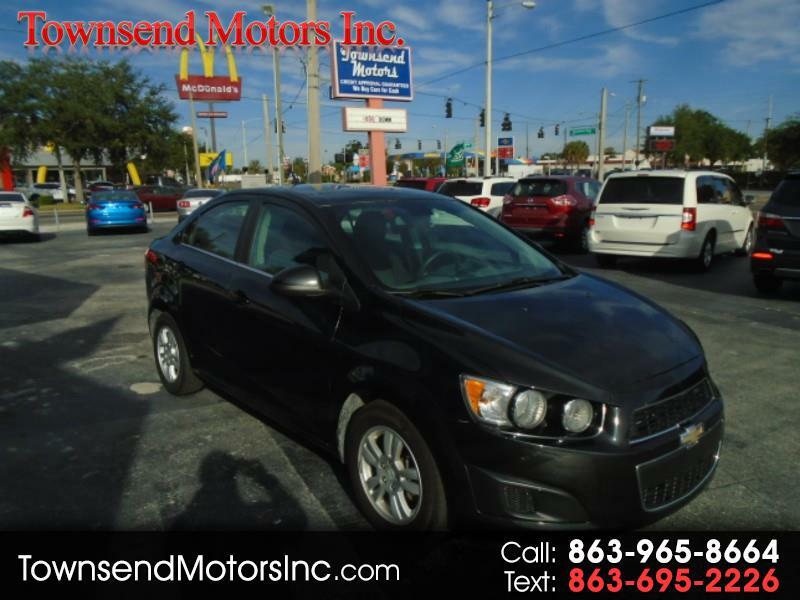 Our 2013 Chevrolet Sonic LT announces its presence in stunning Black Granite Metallic and this sedan is primed to tame winding roads. Powered by our high tech 1.8 Liter, our Sonic kicks up 138hp and zips down the road using its smooth shifting 6 Speed Automatic transmission. Firm and agile suspension straightens twisting roads thanks to a suspension system designed by the Corvette team. This brings elite engineering to an affordable Front Wheel Drive machine that scores over 35mpg on the highway. Our roomy, versatile sedan easily carries a snowboard plus a full days purchases. Additionally, Chevrolet supplies 10 air bags for you and is a top safety pick. Print this page and call us Now... We Know You Will Enjoy Your Test Drive Towards Ownership!